The Museum of the City of New York’s Costume and Textiles Collection is one of the foremost repositories of New York City-centric attire, and is distinguished by its interpretation of clothing not only as a medium of aesthetic merit but as one of social commentary. The approximately 26,000 object collection reveals the city’s singular character and evolution as national fashion capital, and reflects the distinctive personalities and aspirations of New Yorkers themselves. The collection’s early interpretive vision aspired to enhance the public’s awareness of the inter-dependence between the city’s history, populace, and evolving mode of attire. It has acquired and preserved objects that serve to chronicle the physical and aesthetic evolution of our nation’s fashion capital, providing insight into the social and economic history of its populace. Its holdings evidence the aspirational nature of fashion throughout the city’s history, showcasing garments acquired from the original wearers (or their descendants). 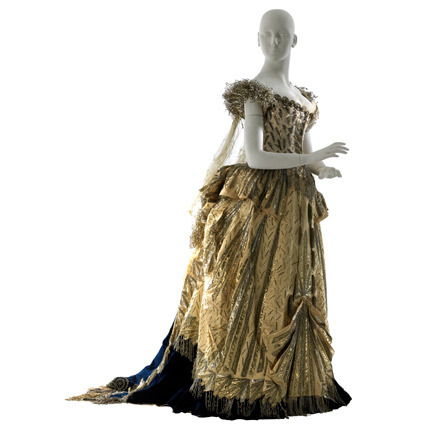 Unified by this common factor, its holdings contrast and juxtapose seminal designs of the Parisian Couture with garments produced by the city’s early dressmakers, department store workrooms, and designers of the city’s nascent garment industry. The Collection’s holdings betray the relentlessly aspirational nature of New York City style, and enhance the public’s appreciation for the impact of the city’s social landscape on its mode of attire. 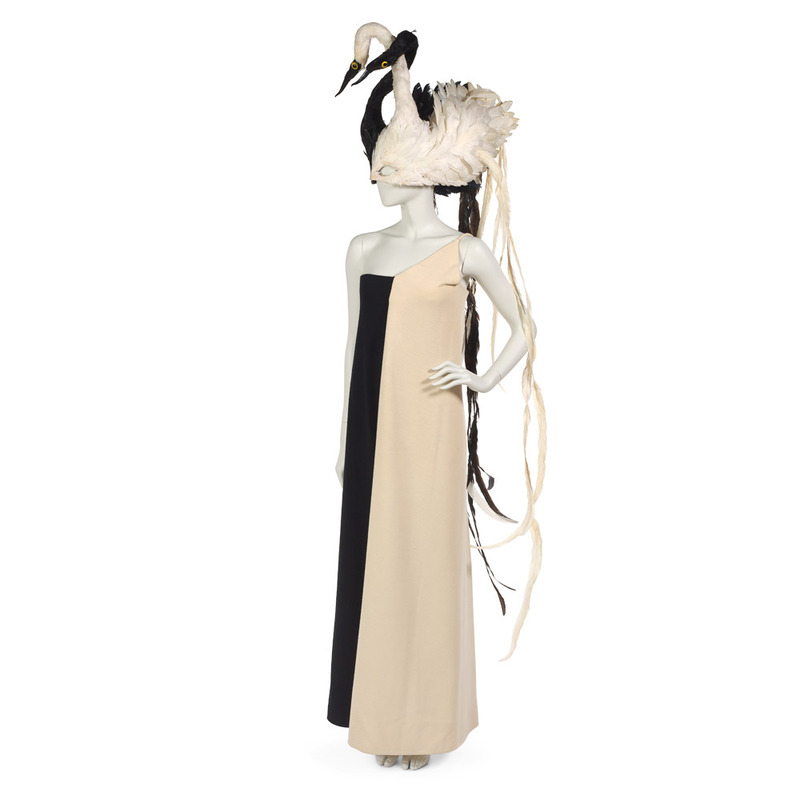 The Costume Collection generates thematically-driven special exhibitions that showcase its permanent collection objects. Additionally, the Museum’s Collections Portal features Worth/Mainbocher, a special web-based exhibition featuring 119 designs produced by the designers, owned and worn by New Yorkers that combines catalogue entries with comprehensive technical analysis of their construction. Recent portal additions include hi resolution photographic and catalogue documentation of 530 mid-century woman’s garments from the collection, as well as 330 of its 18th, 19th and 20th century holdings of hand fans. 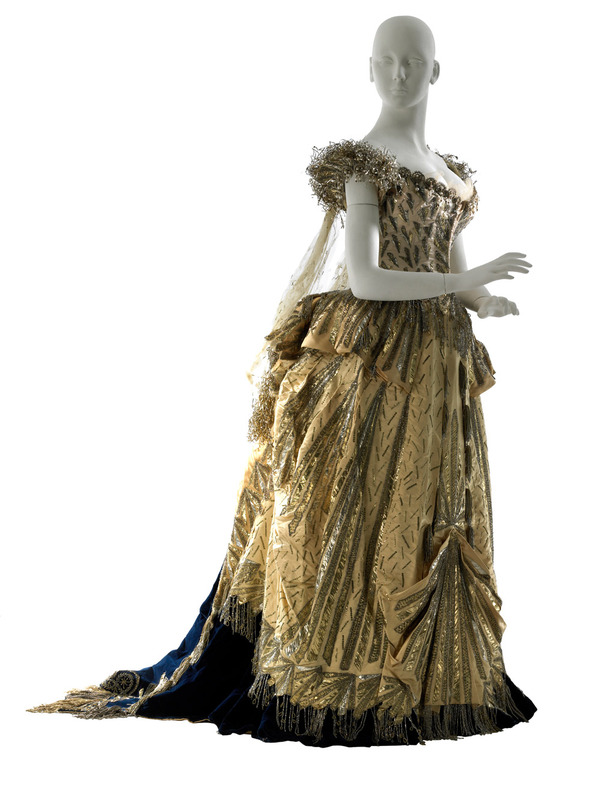 This silk satin and velvet embellished fancy dress costume with silver and gold metallic tinsel and silver paillettes, was worn by the mother of donor, Mrs. Cornelius Vanderbilt II to the William K. Vanderbilt Ball, March 26th 1883. 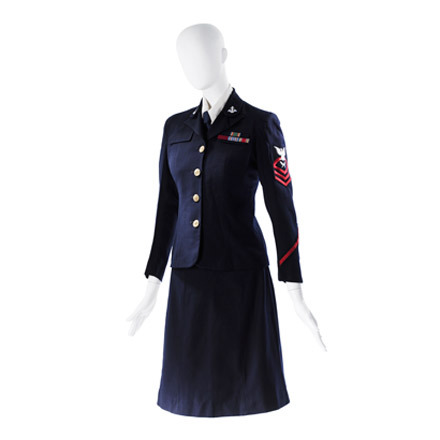 The Costume Collection includes fancy dress and special occasion attire worn to various significant New York City galas, documenting events dating from 1789 through to the present day. Image credit: House of Worth (firm). “Electric Light” Fancy Dress Costume, 1883. Museum of the City of New York, Gift of Countess Laszlo Szechenyi. 51.284.3A-H. 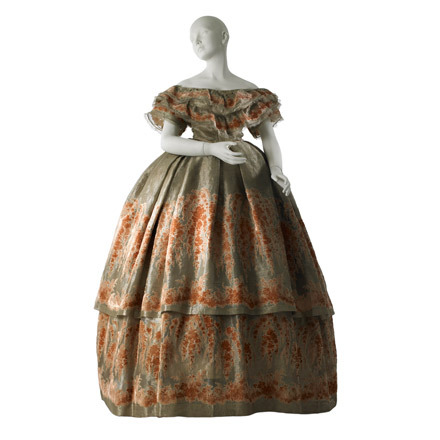 This ball gown in silver and silk gauze woven en broché with coral cut and uncut velvet floral motifs, was worn by Mrs. David Lyon Gardiner October 12, 1860 to a ball held at the Academy of Music on 14th Street and Irving Place to honor the visiting Prince of Wales. By family tradition, the textile was woven in Lyon, with one length reserved for the Empress of Russia, and a second for the Gardiner family. Image credit: Charles Frederick Worth, Worth & Bobergh. 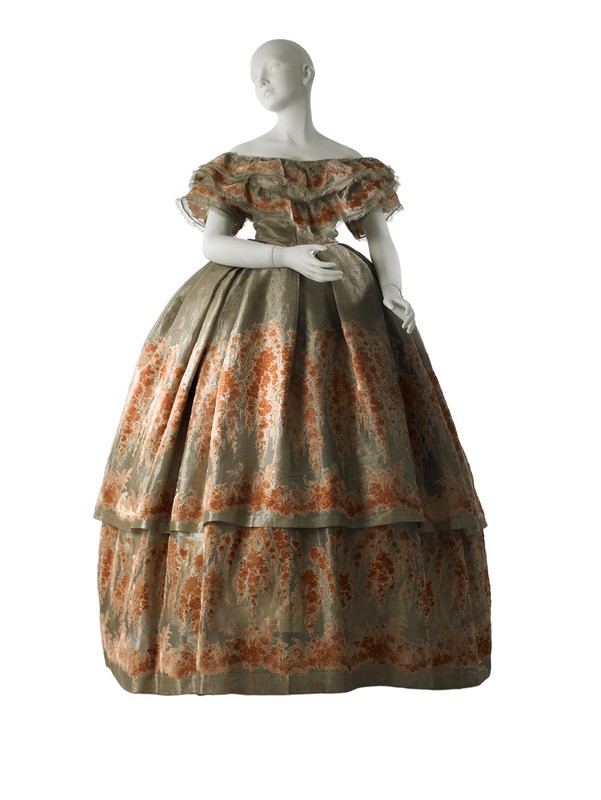 Ball Gown, 1860. Museum of the City of New York, Gift of Miss Sarah Diodati Gardiner. 39.26AB. This evening dress of silk net is hand-studded with crystal brilliants over peach crepe-back silk charmeuse was made by Norman Norell for Lauren Bacall and featured in the October 1963 issue of Harper's Bazaar. Image credit: Norman Norell (1900–1972). "Tissue-of-Diamonds" evening dress, 1963. Museum of the City of New York, Gift of Lauren Bacall. 86.154.1. Designer Ruby Bailey created miniature of caftan for a corresponding fashion doll entitled: "Africa Speaks," and is considered an early proponent of Afrocentric clothing design. She resided in Harlem for much of her life, designing and fabricating fashions throughout. She was listed as an independent dressmaker and seamstress, and exhibited her "Cotton Sculpture" fashion dolls (3-dimensional maquettes of her designs) at various venues including the Empire Room at the Waldorf Astoria. Image credit: Ruby Hyacinth Bailey (1908-). 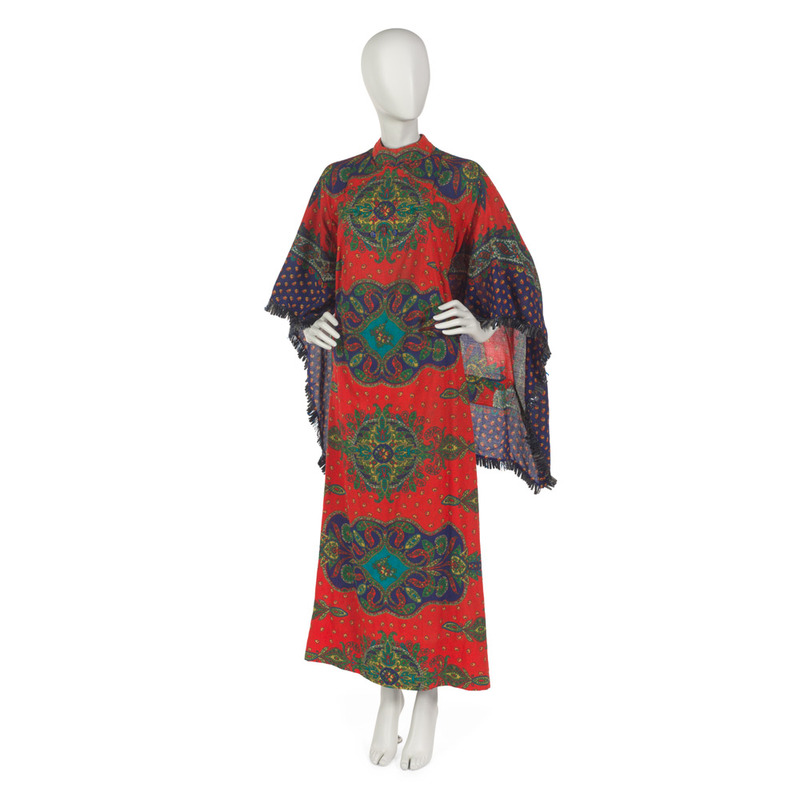 "Africa Speaks" caftan, 1963-1966. Museum of the City of New York, Gift of the Estate of Ruby Bailey. 2004.41.6. Image credit: Bill Cunningham (1929-2016). Swan mask, 1966. Museum of the City of New York, Gift of Mrs. Frederick Eberstadt. 67.12. 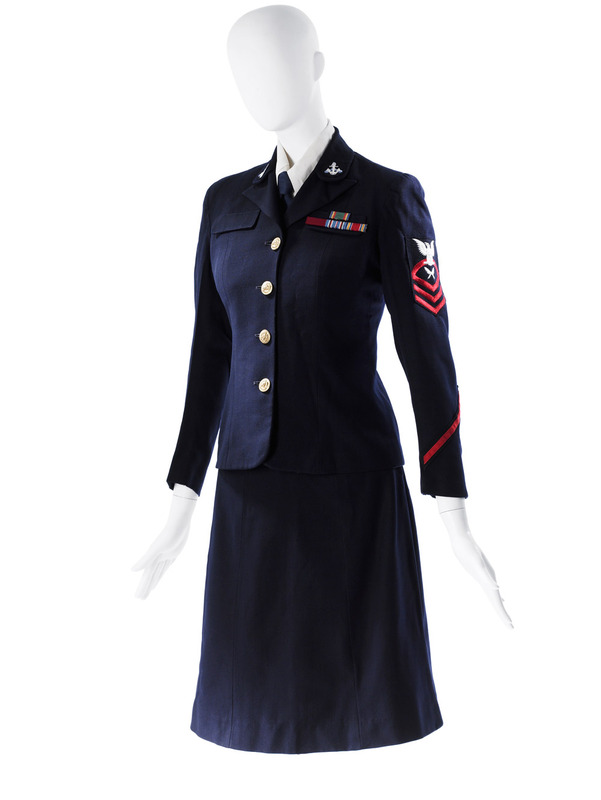 Highlights of the Costume Collection encompass a broad range of military and municipal uniforms, including a rare Continental uniform worn by Lt. Lewis Morris during the Revolutionary War and subsequently to the Washington Inauguration.